I recently had to return some things to my local Hobby Lobby. 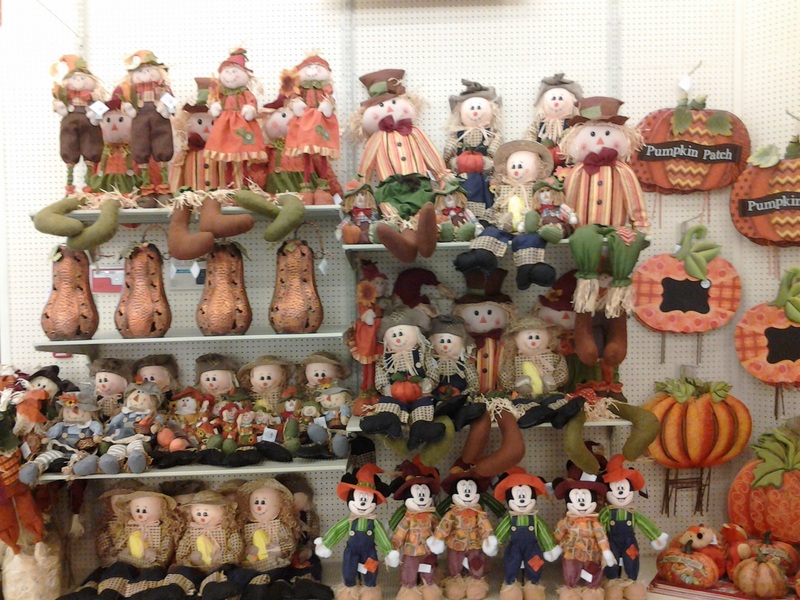 I walked into the store and was not prepared for: scarecrows. Pumpkins. Home decor saying “Give Thanks”. Turkeys wearing pilgrim hats. Now, I’m used to seeing Halloween decor come out after Labor Day, or even as early as Independence Day. But here it was, not even the middle of June, and stores were already promoting harvest/Thanksgiving. I wanted to yell “Leave me alone! Let me enjoy summer!” I wanted my head to be full of thoughts sunshine, swimming, camping, and enjoying my husband’s break from school. Not scarecrows, pumpkins, and turkeys. Why can’t we just enjoy the season that we are in? Why must we always look so far ahead? In The Book of Virtues, there is the story called “The Magic Thread”. An impatient boy is given some magic thread that he can pull whenever he likes, and it will make the time go quickly. However, he cannot put back what he has pulled. In other words, he cannot go back in time. Whenever the boy was unhappy, scared, or life got difficult, he would pull some thread. Even when life was good, he couldn’t help pulling a little thread. He soon found himself at the end of his life with no memories to look back on. How many of us, myself included, are guilty of always wishing we were in a different season of life? We should focus on where we are in life and find ways to be happy in the season we are in. For example, if you’re a parent, don’t say “I’ll be happy when my kids can _______.” Look for things they are doing now that you are happy about. If you are losing weight, don’t say “I’ll be happy when I lose _____.” Look at something in your life right now that you can be happy about. “To everything there is a season, and a time to every purpose under heaven”. (Eccl. 3:1). We need to stop saying “I’ll be happy when ____” or “I can’t wait until _____.” We should start saying “I’ll be happy now!” No matter what season of life we are in, we can all look for something to be happy about. I think once we can do that, we will look at TODAY for what it really is – a gift. After all, that’s why it’s called the present! I really like your post about living in the present. In fact it made me think of the quote “The past is behind, learn from it. The future is ahead, prepare for it. The present is here, live it.” by Thomas S. Monson. We definately need to live in the present for it truly is a gift. I agree Josh. And thank you for sharing that wonderful quote!